I'm really enjoying the music you sent - thanks for that. I've got some more questions about my trip in July. I want to use that same campsite of yours by the bridge and I'm still not clear about where I turn off. Can you maybe draw me a map? Give my love to Bobby and the girls. See you soon. We've got a lot to talk about. Thanks for bringing this thread back today, Chrissi. I loved Meryl's poem by Edna St. Vincent Millay. Here's another, sad favorite poem. 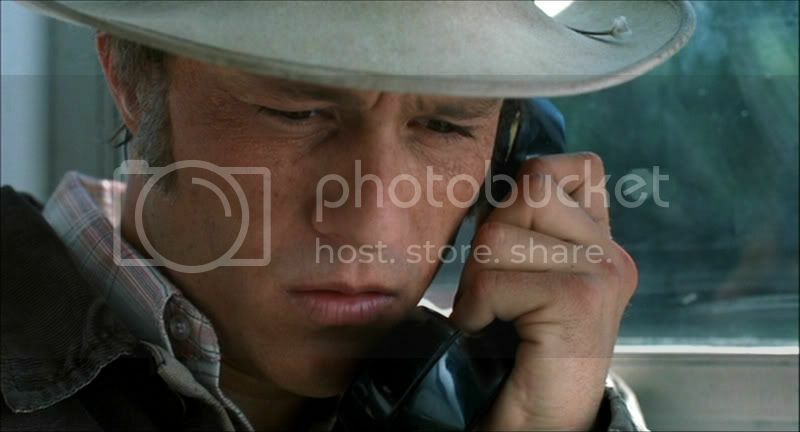 I still find it heartbreaking that Ennis signs the postcard with 'Ennis del Mar'. What other Ennis would Jack have known? This struck me the same way at first, SdSSS. But I've found it a common practice among young and under-educated adults not skilled in letter writing to do this. On second reading I found it sweet somehow. For what it's worth, I believe Annie for the thousandth zillionth time demonstrated her total understanding of her characters. But isn't that part of the wonder of Brokeback? Even a simple signature opens our hearts and set our minds to thinking. Again, just my take on it. Not more valid than yours or anyone else's. Yes, thank you Chrissi for resurrecting this thread. As I go about my daily business, it'll be nice to keep Jack and Ennis in my heart. And thank you for Auden's poem, Paul - a propos. I love you all. Here's my contribution, and sing this merrily, like an Irish jig!! There goes an unfortunate boy to his home." Got shot in the breast, I am dying today." Put roses to deaden the clods as they fall." And gone to its Giver --- the cowboy was dead. We all loved our comrade although he'd done wrong."